When a person loses a driver’s license due to a traffic violation or DUI, the consequences, and the ability to go to work, are significantly impacted. In some states, the penalties for failing to pay fines for traffic violations are so heavy that persons simply cannot afford to pay the penalties involved. 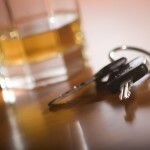 For a first-time drunk driving offense, a person in Colorado could lose his license for nine months. 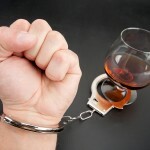 For subsequent DUI offenses, a license could be lost for 1-2 years. Across the country, approximately 40% of driver’s license suspensions are linked to unpaid traffic tickets. 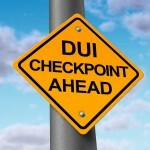 Sometimes, Leadville DUI lawyers find that driver’s licenses are suspended simply because the person failed to pay child support, or because of a felony offense like drug crimes. These are crimes that have nothing to do with driving safely. 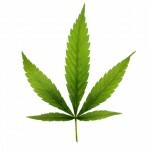 According to the report, such license suspensions can severely impact a person’s ability to get a job and go to work. In many areas, including in Colorado, some of the newest employment opportunities are coming up in far-flung neighborhoods or out of the city altogether. These are areas that are not serviced by public transportation, and therefore, people who have lost their driver’s licenses are not able to apply for positions in these facilities. Additionally, the fees and penalties that are attached to several traffic violations are so heavy that people can simply not pay these. This can lead to long-term consequences. Additionally, when a person does not have a license, you simply have may have no other option, but to drive without a license, or with an invalid license. In fact, according to one study by the National Highway Traffic Safety Administration, as many of three- quarters of people without licenses continue to drive without a license. For these people, it’s not a question of disobeying the law. It’s simply a matter of being able to go to work and put food on the table. Sitting at home and without work simply because they do not have a license is not a choice for these people. If you are at risk of a license suspension because of a traffic violation or DUI charge, speak with a Leadville DUI lawyer.